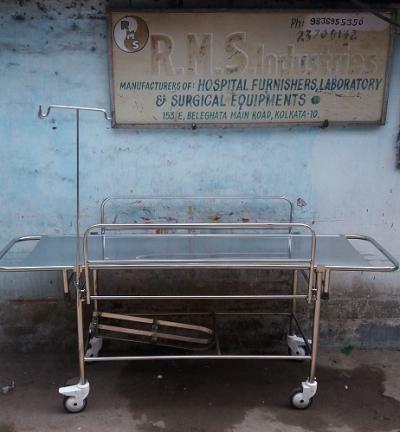 Non Magnetic Non Rustable Stretcher Trolley. Fully Stainless Steel of 304 grade quality made,with cylinder carrier attached & I.V rod and sway away patient safety railings. Mounted on 5" non rustable swivel castors,with brakes.Supplied with 2" foam mattress..High polished finish.